Rain cancelled all finals save for the Gold Bracket when the University of Central Florida upset the home University of Florida on Feb. 2 at the UF Gatorbowl in Gainesville, Fla.
UCF topped UF 27-19 in the World TeamTennis scoring format of the USTA Florida ‘Tennis on Campus’ club event. 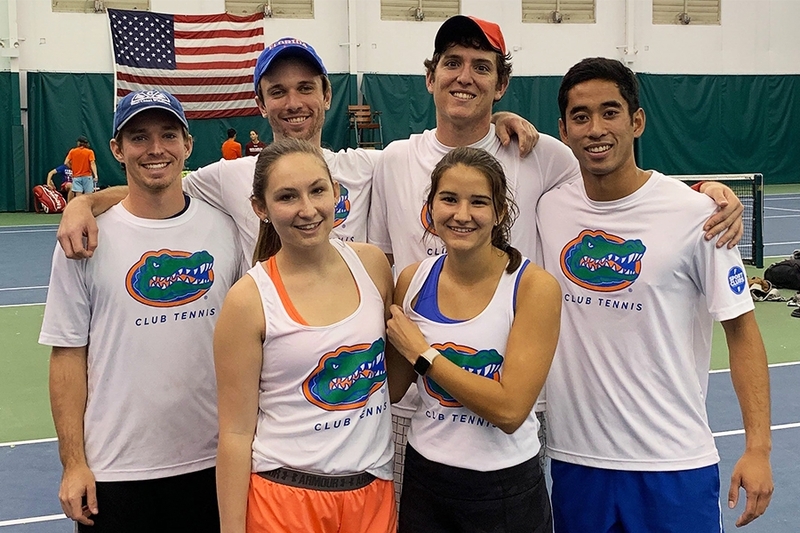 “Unfortunately Gainesville was a real-life swamp and we were only able to complete the Gold Bracket finals,” said USTA Florida Tennis on Campus Coordinator Desirae McLaughlin. Twenty-four teams participated from seven schools: University of Florida, University of Central Florida, Florida Atlantic University, University of North Florida, University of South Florida, Florida Gulf Coast University, and the University of Miami. It was UCF’s second title of the season after capturing their home UCF Knightro Cup in Orlando on Oct. 20. 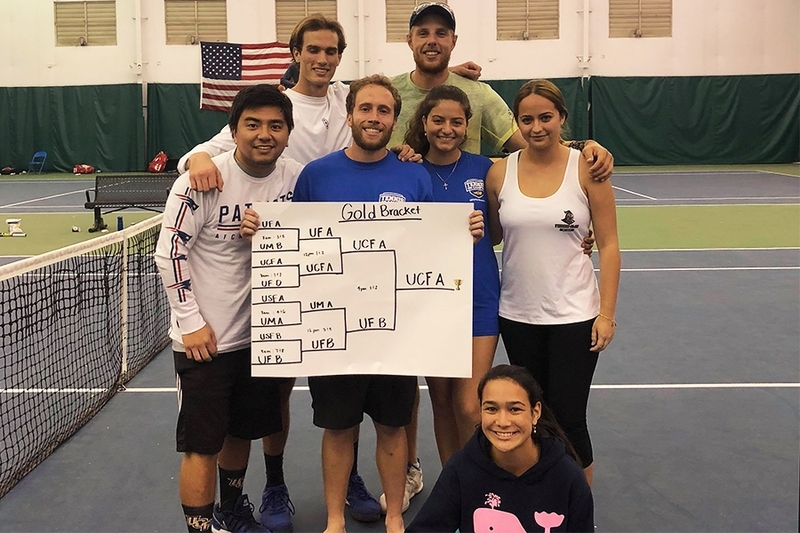 The next event on the 2018-19 USTA Florida ‘Tennis on Campus’ schedule will be the Feb. 16 Delray Beach Open ‘Tennis On Campus’ Challenge, held during the ATP World Tour event.